Finger Lakes Telehealth Network (FLTN), a division of Finger Lakes Community Health, can assist you in setting up telehealth services. By partnering with us, your organization will benefit from the decade of experience we’ve had with our patients, providers, and specialists. 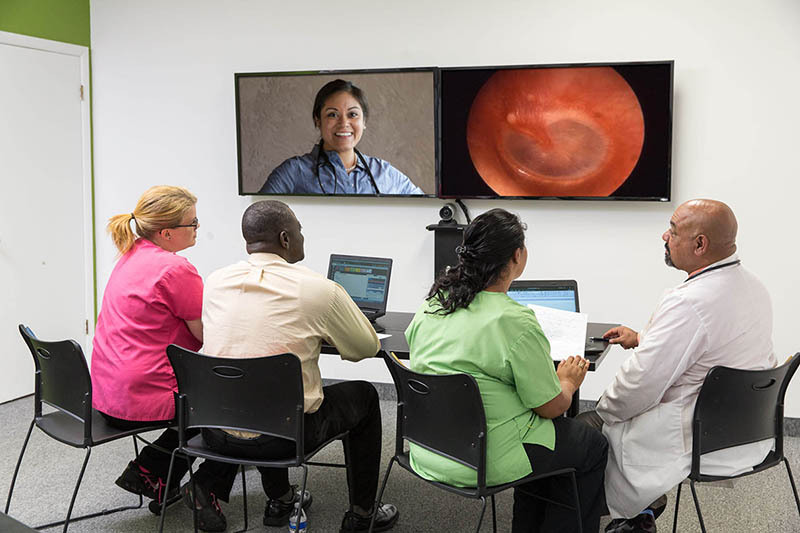 Sirene Garcia, Director of Special Programs, and our team works with organizations like yours to evaluate your need for telehealth and help you build your capabilities. In order to be successful, a strong foundation is necessary for a robust telehealth program. One of the first steps is ensuring that the appropriate level of broadband is available to serve all of the processes that an organization is utilizing. Those processes include electronic records systems, accounting systems, VOIP tele-communications services, video conferencing and other potential systems. Program design and implementation. This is the most critical element of implementing a successful telehealth program, and where you’ll spend the most time. The purpose of this work is to integrate telehealth into the daily clinical process. We recommend allowing 5-8 months for the development and implementation of telehealth visits. This is also where our expertise will help you the most. We’ve invested many years into the integration of telehealth technologies into our clinical practice, ensuring that we are using the appropriate equipment, developing work flows and telehealth etiquette, working with outside specialists, and building the infrastructure to track outcomes through data analytics. Additionally, we have helped many other provider practices build their own telehealth expertise. Develop a work plan that outlines the nuts and bolts of how to implement a telehealth program, including identifying roles and responsibilities during and after the telehealth visit. Identify the procedures for staff to follow. Help you work with health insurance to get reimbursed for your telehealth services. Make sure providers are covered by malpractice insurance for telehealth services. Provide guidance for IT to ensure that telehealth visits go smoothly and securely. And finally, conduct mock practice calls to ensure that we’ve got everything in place and the first real visit will go well.